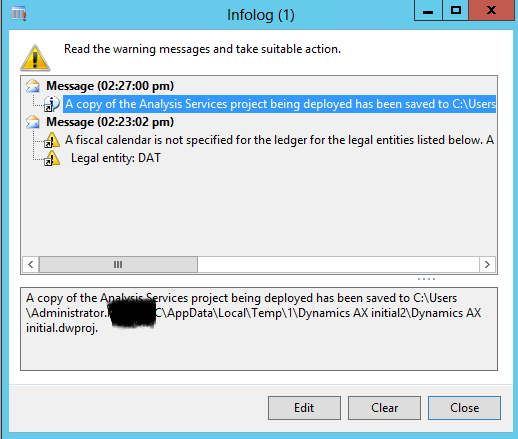 i found this error when i tried deploying cube via ax wizard. 1. Just run the analysis service as admin domain or user domain that have the right priveleges. 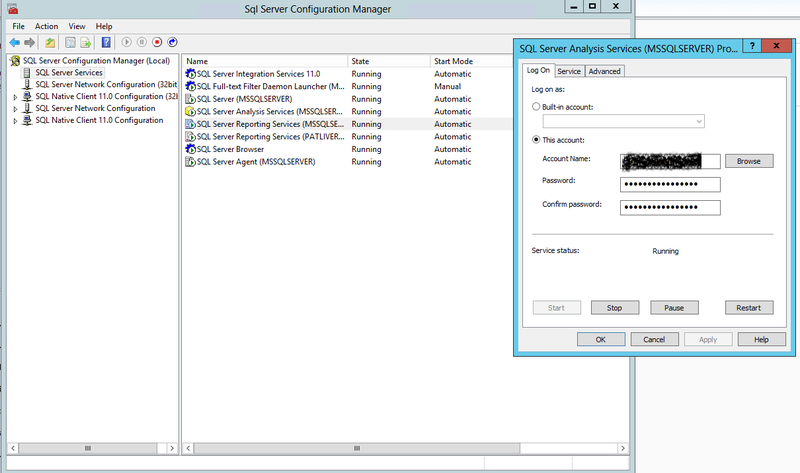 Set it up on SQL Server Management Configuration. 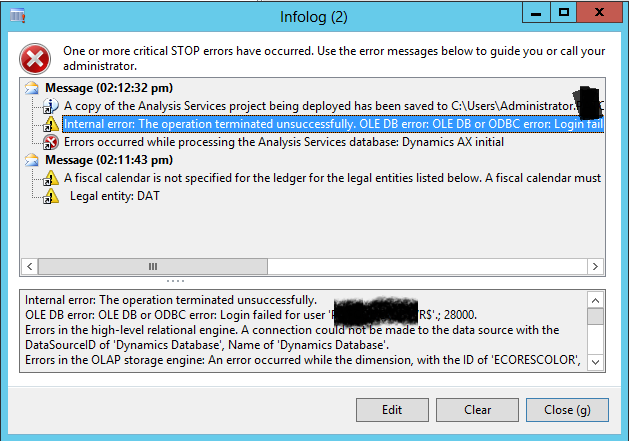 ← error : Either the user does not have access to the Dynamics AX database, or the database does not exist.